Fullers most northerly pub in the City, just around the corner from the busy Finsbury Avenue and Liverpool Street station, located in the ground floor of a modern glass fronted building. The Fleetwood only just makes it into the City, with the boundary running along Wilson Street itself. The interieor has a range of seating on various levels and there is seating outside. As you would expect from a Fullers pub, the London Pride is a decent pint. 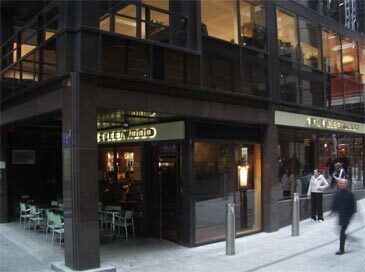 This is modern styled Fullers pub which gets very busy with the many workers from the surrounding offices. When I've visited the service has been swift and pleasant.